Welcome to the CTMH "Heart Happy" Blog Hop. 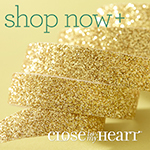 If you came here from Janet's Creative World Blog you are on the right path! The blog hop is a great big circle, so you can start here and work your way all around. If you get lost along the way, you’ll find the complete list of participating consultants on Melinda’s Blog: HERE. 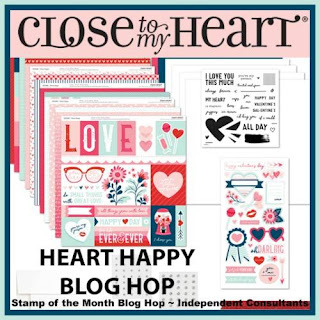 This month we have 17 CTMH Consultants sharing their creations using the Heart Happy Exclusive Collection. This is simple to do - just click on the link at the end of the post on each blog to move to the next one! 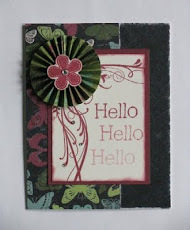 I decided to create a card that shows all the options from the two sided paper in this special. 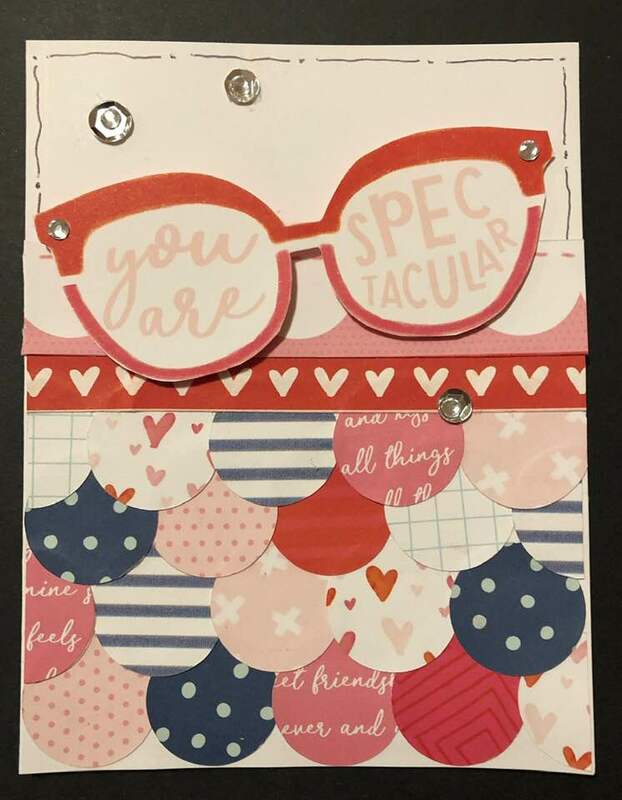 The glasses are from the "cut apart sheet" shown on the blog badge. This is a 5 ½ X 4 ¼ Card and the circles are cut at 1 inch. 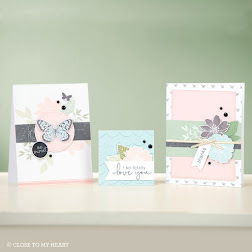 that includes the My Acrylix "A Piece of My Heart" stamp set (CC2191), Paper Packet (CC2193), Stickers (CC2192) and instructions. 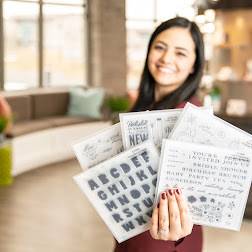 There's also an Album Workshop with the stamp set (CC2194) and without (CC2195) Also, you can order extra Coordinating Card Stock (CC2198) This special is available through the end of February, while supply lasts. I love how you used the glasses. And I need to try that shell-like look. So fun! Great use of all the pattersn. love the colors and patterns!! Cute! Circles are so fun when incorporated into artwork! Nice job! love the use of the circles! All those circles are so fun!